These Self-Closing Slides automatically pull the drawer closed when the drawer is pushed to within 2" of closing. This mechanical, soft-closing action ensures all drawers stay neatly closed. 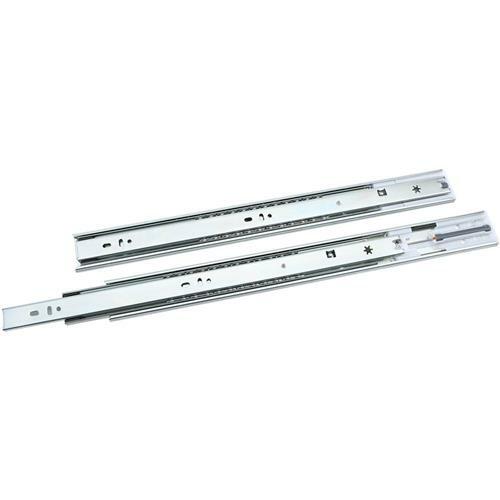 Slides are 1/2" thick and have precision ball bearings, easy drawer removal systems, and are 32mm compatible. Full extension, sold in pairs. Hardware not included.Size: 18"Weight capacity: 66 lbs. These Self-Closing Slides automatically pull the drawer closed when the drawer is pushed to within 2" of closing. 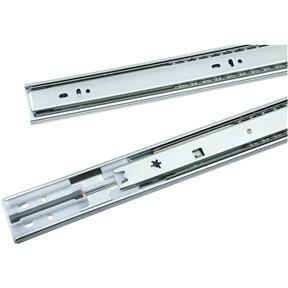 This mechanical, soft-closing action ensures all drawers stay neatly closed. 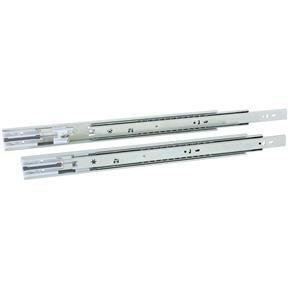 Slides are 1/2" thick and have precision ball bearings, easy drawer removal systems, and are 32mm compatible. Full extension, sold in pairs. Hardware not included.